Pallets aren't the easiest wood to work with. 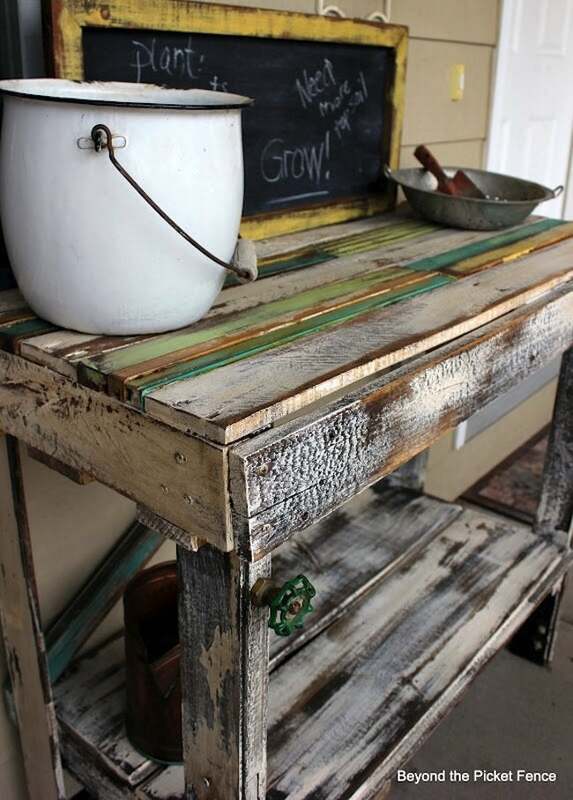 But with a combination of scrap wood and pallets, you can make your own DIY potting bench. 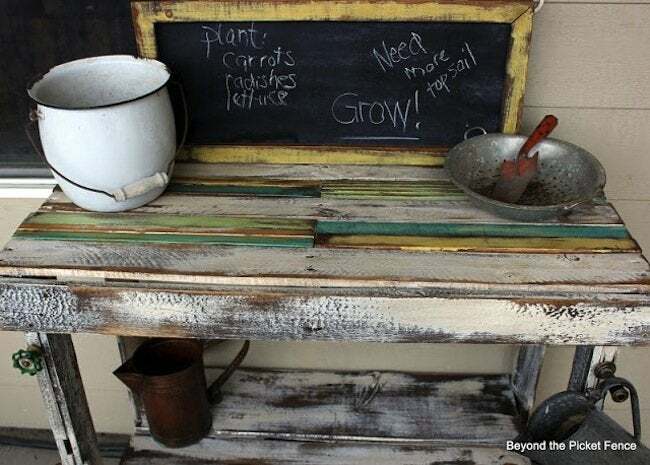 When gardening season is in full swing, there’s nothing like a trusty potting bench to help you reap the season’s bounty. 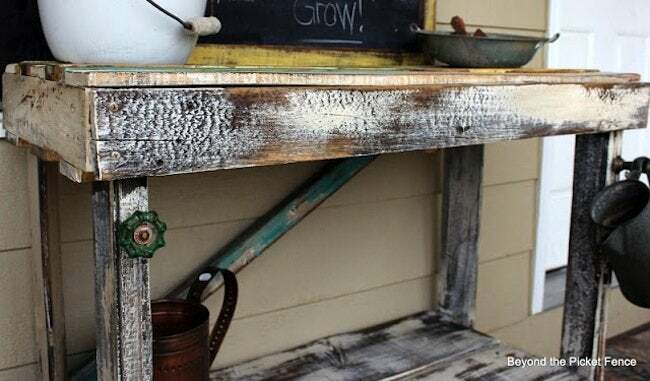 Instead of buying an elaborate potting bench, you can DIY your own rustic solution from scrap and pallet wood. That’s just what Becky from Beyond the Picket Fence did—and the results are incredible! This DIY design has us in the mood to garden. Want to make your own? Read on to see how it’s done. Using half a pallet as the tabletop, I built a potting table that is ready for spring. I filled in the empty spaces between the pallet boards with some painted trim pieces. I created the legs from old window sash pieces and some found tongue and groove boards for the bottom shelf. Attach all your wood pieces using a power drill. Even with the bottom shelf, she was still a little unsteady on her feet so I added a cross piece in the back which stabilized the table beautifully. Add eclectic hardware pieces to hang tools from. Thanks, Becky! 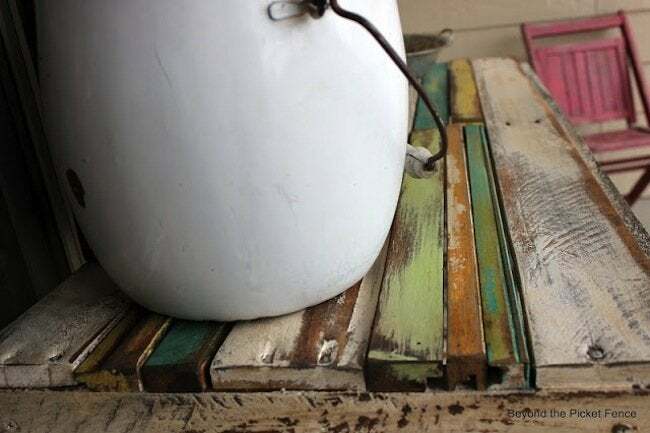 If you want even more pallet project tutorials, see the other great projects she has at Beyond the Picket Fence.